More often than not, parents want to hide away during the hot summer months. There are many different reasons that you should get off of the sofa or call out of work to have a little fun with your kids. It is healthy for you and you can spend time with your children. Plus, there are many DIY backyard games that will actually make you want to go outside and play with your kids. No game board needed, simply use ground marking spray to spray on the twister board straight onto your grass. You can make your own spinner by cutting out a piece of cardboard and adding an arrow with a brad. If you want to make it extra fun, grab swimsuits for all competitors, grab your sprinkler, and get ready to get soaked. Note: Smaller circles work better for the little ones, if you want to have both kids and adults playing, create two twister boards on the grass for a head-to-head competition. We all know it; Jenga is a favorite pass-time of many families over the world. But, taking this board game outside may not be the best course for someone who wants to stretch their wings a little bit during the summer months. That’s about to change. Take a few 2x4 boards and cut them down. In most cases, lumber yards will cut them down to the size you want. 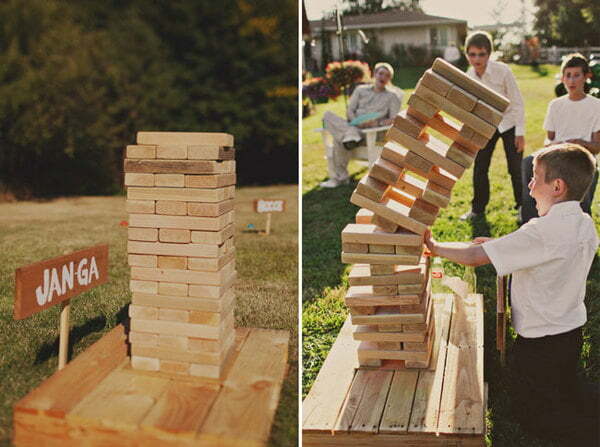 Once you have your perfectly sized giant Jenga pieces, paint the ends and start stacking! For a more kid-friendly version of this Jenga game, you can cut pool noodles down as well and play a more “rounded” version. While you can buy a fancy giant chess board, it’s also possible to make your own. Get some square pavers and set them out as a board on your grass. You can purchase giant chess and checkers pieces or make your own out of cardboard or wood. 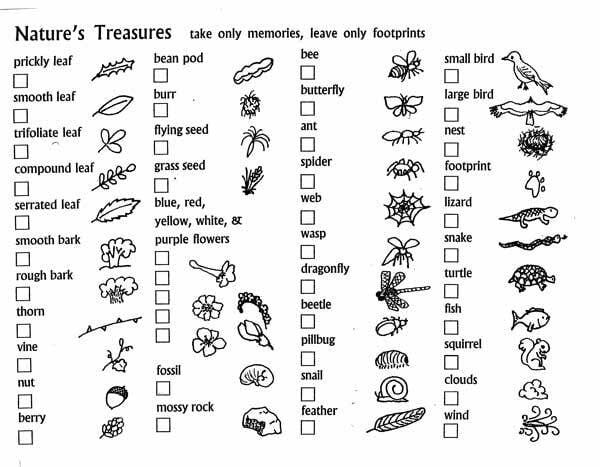 Get the family together for a nature scavenger hunt. This one’s easy, all you have to do is think of different plants, animals, birds, and insects that live in your area and write out a list. Print out scavenger hunt papers and set the family loose into the great outdoors to find everything you can on your list. Note: Everyone will need an easy to carry sack like a messenger bag. You may also want to consider wearing hats or hair scarfs, comfortable pants, and sleeves to protect against bug bites. Proper footwear for your terrain should also be considered. 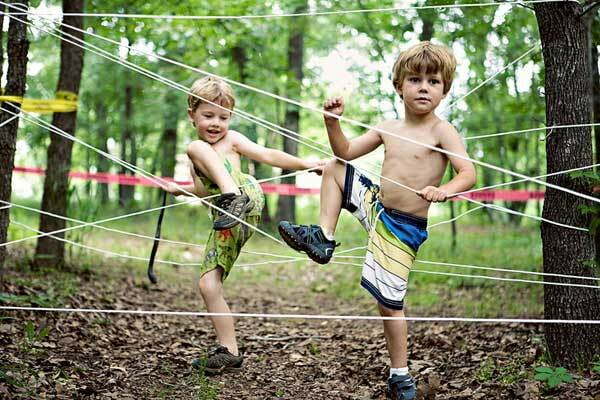 Create an obstacle course in your yard with items you find around your home. You can use pools, ladders, hoola hoops, rope, cones, and boards to create different obstacles for your family to run through. Make your own pins with 2 liter soda bottles or you can pick up a giant bowling set and go to town in your back yard with a bowling league of your very own. Add in a little extra fun by putting on your most comfortable bathing suit and surrounding your “lane” with sprinklers. 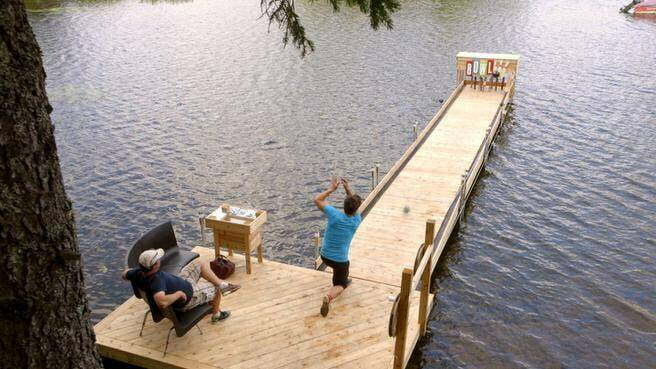 Or go really wild and turn a dock into an alley like these people! Pick up some pool noodles and get ready for a battle! Noodle wars is a great way to sword fight with the family or even play games with balloons by whacking them across the yard and trying to get them in a goal. 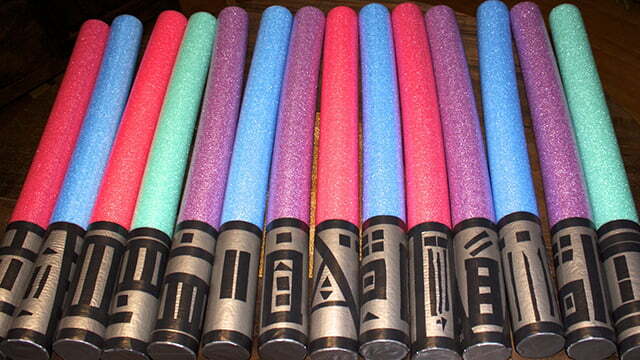 Make your battle awesome by making lightsabers out of pool noodles. Just add duct tape and markers! Pick-up sticks were a staple in many adults’ childhoods, but, it seems that this family friendly game has been all but lost, until now. 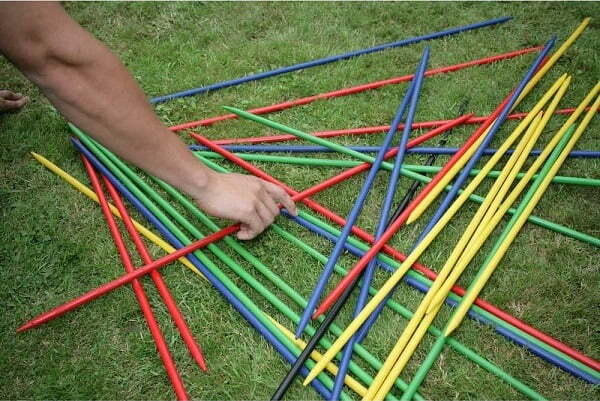 You can now get a giant yard pick-up sticks game to play with your whole family in your very own back yard. 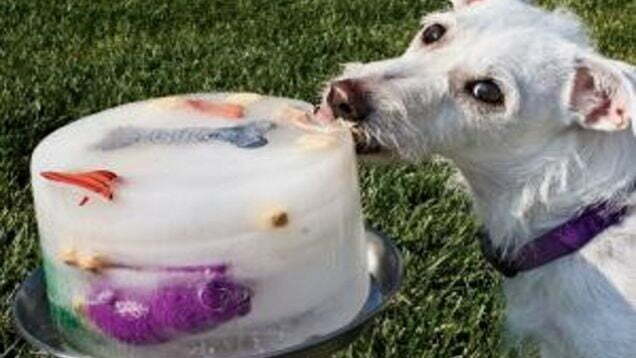 Freeze a giant bucket full of water and toys. Give your kids toy hammers and other tools to pick out their new goodies during a hot summer day. Even the family pet can join in this game! 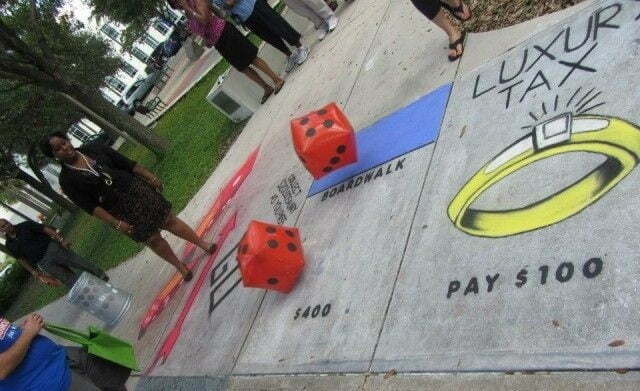 Grab some sidewalk chalk and draw a giant board game on the pavement. Make yourself a giant dice out of cardboard and let the fun begin! You can create different games such as Monopoly and Candy Land with a little extra fun added in as you are the game pieces! Never underestimate your own nostalgia! Playing games from your own childhood will bring the added pleasure of walking down memory lane. 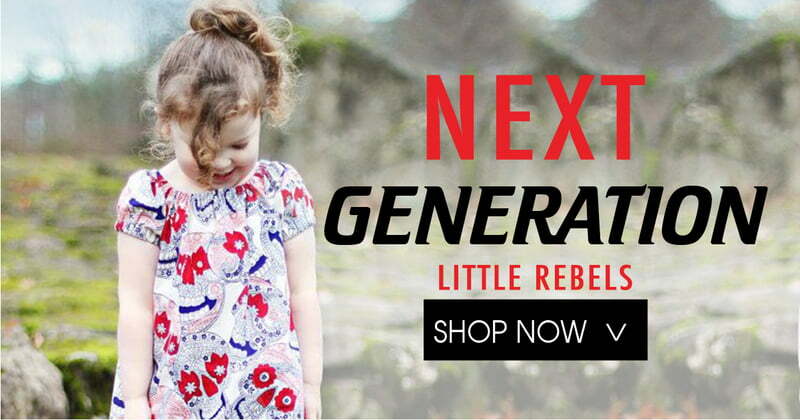 You can blow bubbles, catch fireflies, or chase each other in a game of flashlight tag. By the end of the summer, you will also be pouting at the arrival of a new school year! Have you tried any of these games or do you have other suggestions to add? Leave your feedback in the comments below!